After recently having the opportunity to sink some serious time into the Wii U I got to thinking. Why hasn't the PC taken any serious leaps outside of typical hardware? Civilization V: Gods and Kings, Ms. Splosion Man, and Neverwinter Online! Ms. Splosion Man was the best puzzle game to be released in 2011, I mean, if you took out Portal 2 and a half dozen other games. ORIGIN PC has kicked 2012 into high gear with three major announcements. 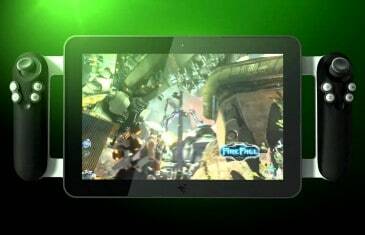 Razer’s New Tablet Means MMO’s To-Go! You ever see all those people with their tablet computers or other handheld devices and wonder why you can't have a device that can let you play your favorite MMO on the road?